“It is customary to view antibiotic production by microbes as adaptive in their competitive roles with each other… However, nowhere have I been able to locate a discussion of how antibiotics may render food uninteresting to animals”. It is now my goal to shed light on Janzen’s question and begin to tease apart the complex relationship that occurs between microbial and litter invertebrate communities. In order to explore how antibiotic compounds shape invertebrate and microbial communities, I will be conducting a series of experiments on Barro Colorado Island in Panama, run by the Smithsonian Tropical Research Institute. In a common garden experiment, I am applying Streptomycin (a naturally derived antibacterial), Sulfonamide (a synthetic antibacterial) or Captan (a synthetic fungicide) to 0.25 meter-squared plots. 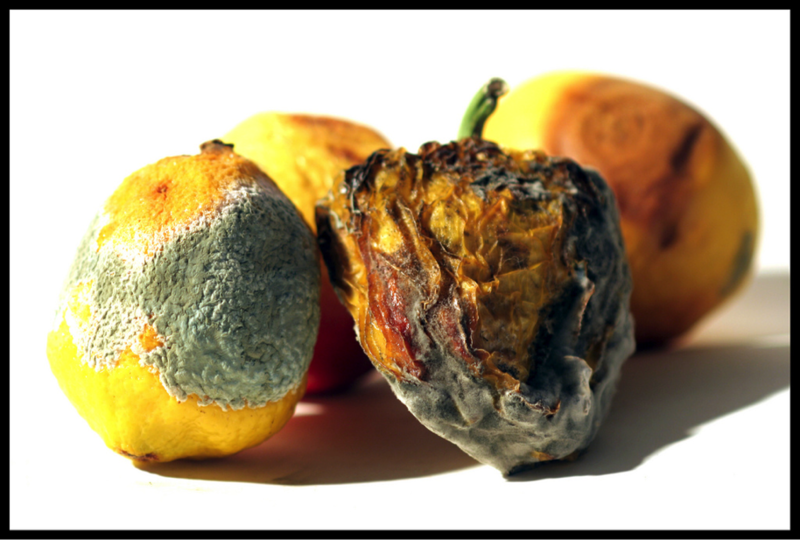 By looking at both natural and synthetic compounds, I can begin to ask questions about whether there is an evolved history between litter invertebrates and the antibiotic compounds created by microbial communities. Over time, I will sample the invertebrate and microbial communities in these plots to examine how the presence of these various compounds affects community composition. It is my prediction that detritivore abundance should be lower in treated plots due to a markedly different and decreased microbial population. 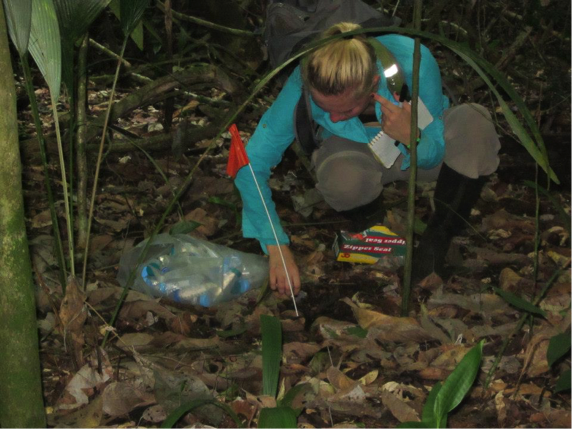 Jane Lucas setting up her field experiment in the litter of Barro Colorado Island, Panama. I will also conduct a mesocosm experiment that further tests litter invertebrates’ ability to sense and avoid antibiotic laden environments. By placing litter invertebrates in mesocosms that have half of the chamber treated with antibiotics and the other side untreated, I will be able to test whether certain taxa have developed a preference for one environment over the other. Previous tests have shown that detritivorous diplopods tend to avoid active antibiotic areas, suggesting a potential evolved ability to sense harmful compounds and move away from them. If this observation holds true across a variety of taxa, we may be able to explain part of the puzzle as to why the leaf litter is so patchy. Mesocosms are ideal venues to explore how invertebrates choose soil with or without antibiotics. Finally, I have the pleasure of working with Carolyn Gigot, an undergraduate student at Harvard University and an REU through STRI, on a project exploring how a few focal taxa respond to being raised in antibiotic laden environments. We hypothesize that invertebrates that rely on a healthy gut microbiome may suffer when raised in antibiotically active environments. Carolyn and I will monitor survival and growth rates of diplopods, isopods, oribatids and collembola over time, as well as extract their microbiomes, in order to test how our focal antibiotics influence individuals of a variety of detrivores. Combined, these projects will shed light on Janzen’s 1977 inquiries, as well as provide important insight into a complex relationship that occurs across a large variety of environments. ← Lightning strikes 14 times at a conference session: exploring multi-element limitation at the Association for Tropical Biology and Conservation meetings.